Nadic Methyl Anhydride (NMA) | Polysciences, Inc. 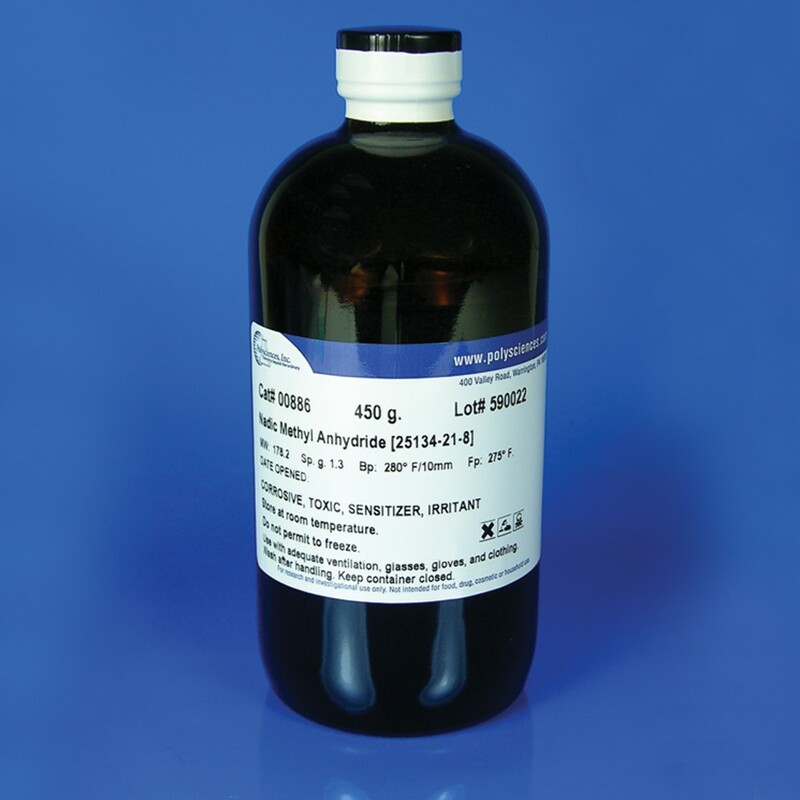 Liquid anhydride for curing epoxy resins. This material is a mixture of methyl isomers of methylbicyclohept-5-ene-2,3-dicarboxylic anhydride. The larger the proportion of NMA used in the epoxy resin formula, the harder the resultant block.